If you are still not sure what to make for the 4th of July, here is a quick refreshing last minute salad. 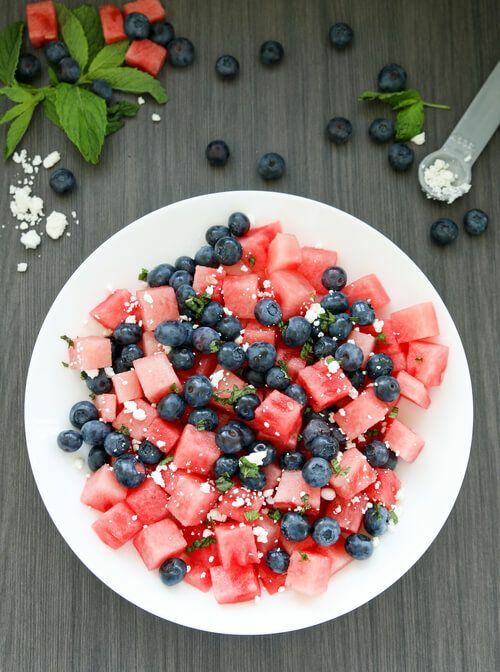 Sometimes just putting a few of your favorite fruit together is all you need for a great summer salad. I recently posted a blog post on fruits and vegetables that help you stay hydrated, click here to read. One of the fruits is a sweet, crisp and refreshing watermelon. It is 92 percent water. A little over a cup of watermelon, and you've just had the equivalent of n 8oz glass of water. All the ingredients in this summer are in season, so will be easy to find. Happy 4th of July!